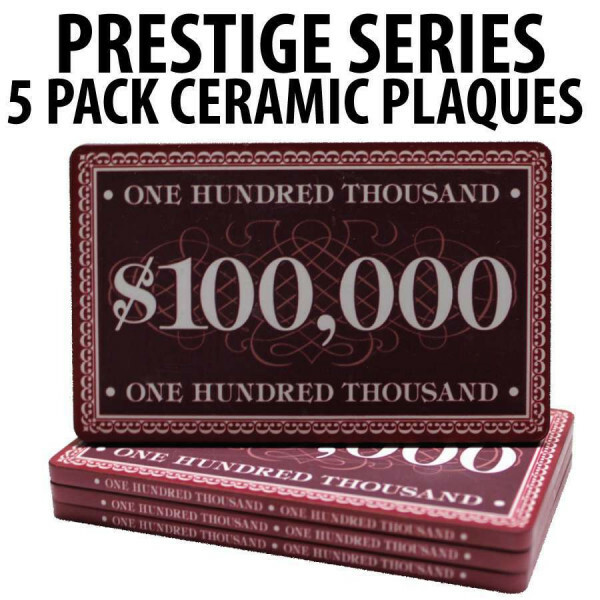 Introducing the new Prestige Series Ceramic Poker Chip Plaques! All 5 Plaques will be the $100,000 denomination. Play poker in style with these fantastic poker chip plaques. 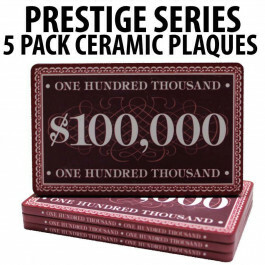 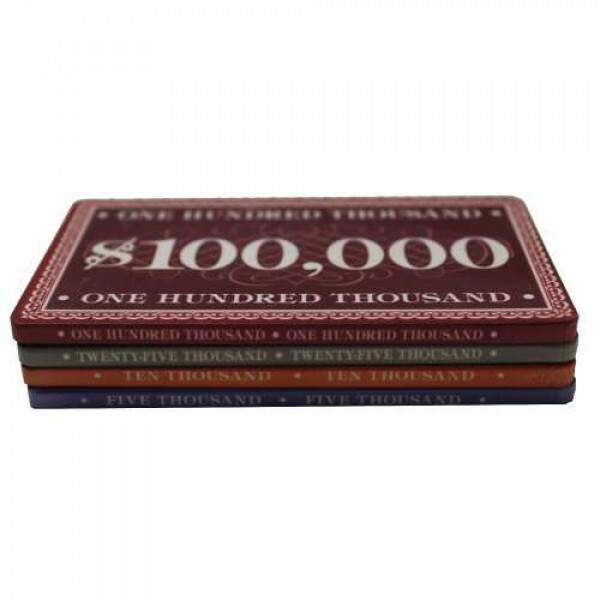 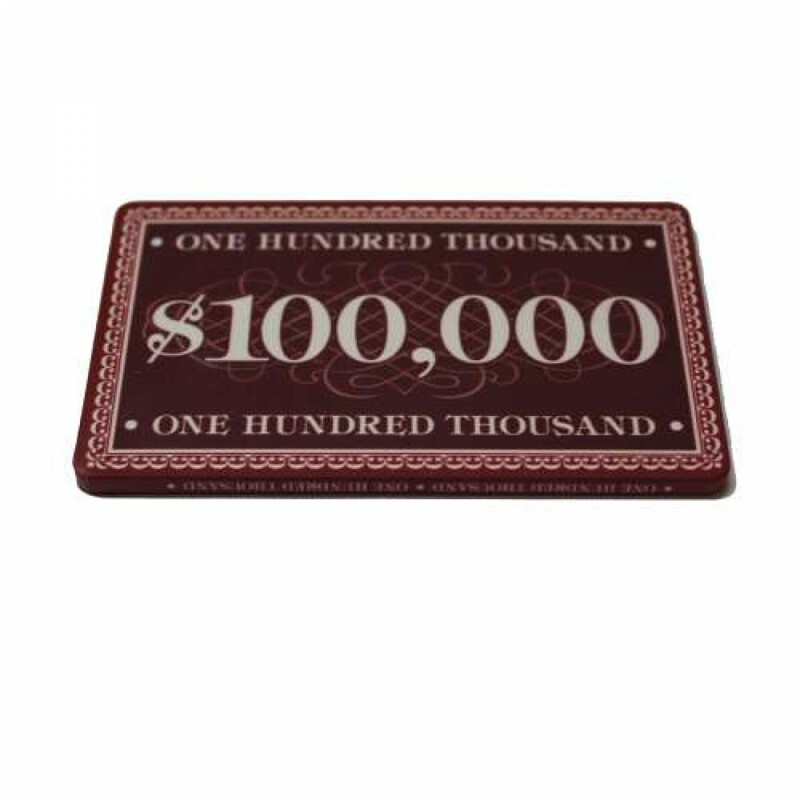 Made of ceramic high grade materials, these plaques are a perfect match to any poker chip set. 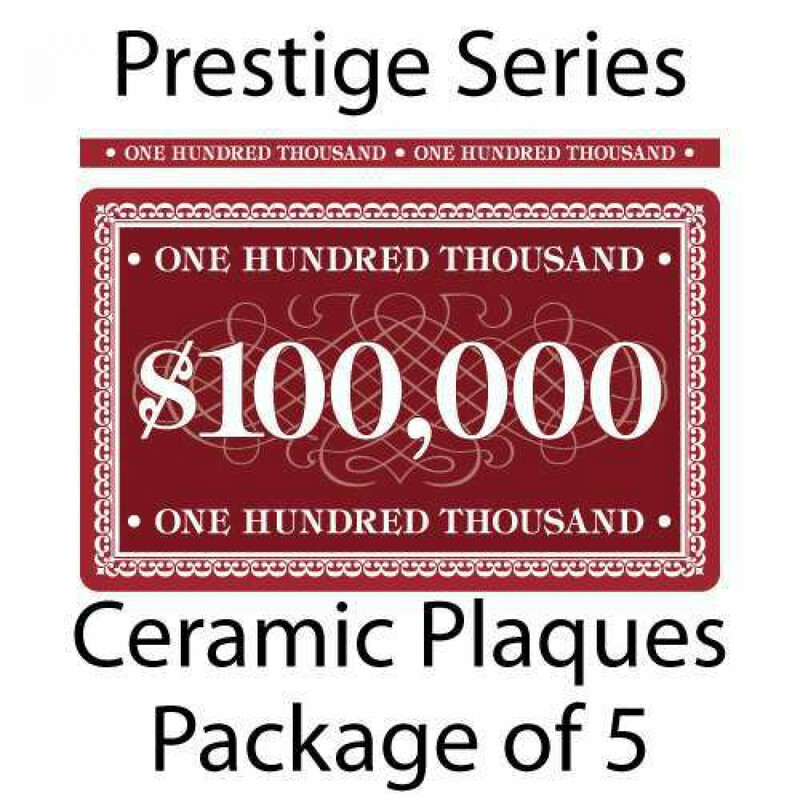 The denominations are printed on the top and bottom edges of these plaques. 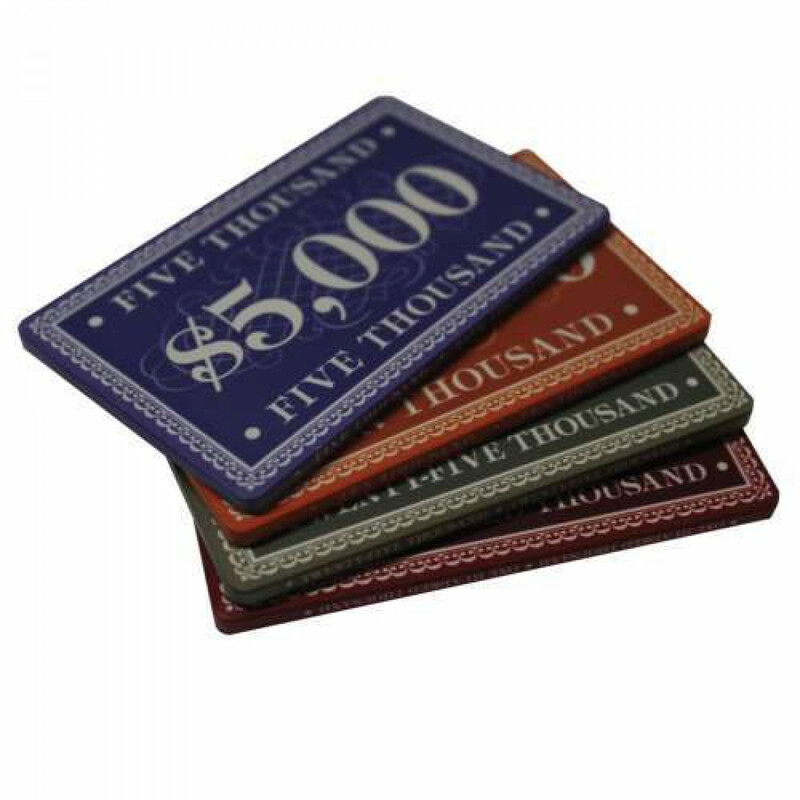 3.35" X 2" X 0.15"